Dedicated to helping investment advisers protect their clients by debunking Wall Street's dangerous and self serving financial and investment advice. It is crazy to think the government can make a go of long term care insurance. Most insurance companies have exited this marketplace because they figured out they cannnot make a profit. I have seen some real sad stories of long term care costs wiping people out. While I would love to see some sort of long term care benefit for seniors this would be a black hole. Tuttle Tactical Management (TTM) is an industry leader in Trend Aggregation providing Investment Advisers, Financial Planners, Insurance Agents and their clients with proven and customized tactical ETF-based investment strategies and exclusive asset management. Our uncertain global economy presents a new paradigm for investing. 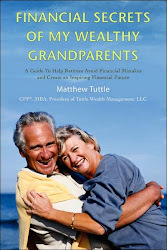 While growth is important, knowing how to protect the wealth you have accumulated is equally important. Retiring Boomers Find 401(k) Plans Fall Short . Matthew Tuttle is CEO and CIO of Tuttle Tactical Management LLC. 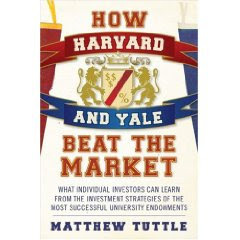 Matthew is the author of "How Harvard & Yale Beat the Market" and "Financial Secrets of my Wealthy Grandparents". He is frequently quoted in the media. (c) 2010 Matthew Tuttle. All Rights Reserved. Picture Window theme. Theme images by DNY59. Powered by Blogger.